If you interesting in Automatic farm machinery palm kernel screw oil press/sunflower oil press machine ,kindly ask me, Shandong industrial microwave oven can give technical support and service. Our AZSP-130A automatic screw oil press is the quite advanced one among the processing machinery of oil plants. With smart design, advanced technique, simple installation and high robotization, the automatic screw oil press becomes one of the most popular selling leads in our products. a. AZSP-130A automatic screw oil press is a popular type of oil press machine, mainly composed of feeder, gearbox, pressing chamber and oil receiver. c. AZSP-130A automatic screw oil press is characteristics with fine figure, compact structure, easy installment, high autoimmunization, high output rate, clear oil and pure flavor and so on. a. Our automatic screw oil press can be used for both hot press and cold press. b. The wear parts of AZSP-130A screw oil press such as the pressing rings, worms are made of the carbon steel which is under the process of heat pretreatment, making them very durable. c.The whole process is controlled by electric cabinet, making it more safe and easy to operate. d.This AZSP-130A automatic screw oil press is good appearance, easy to use.And the performance is advanced . e.Wide application:It can squeeze 20 kinds of oil crops, such as, peanuts, sesame, vegetable seeds, soybean, oil sunflower, flax, etc. 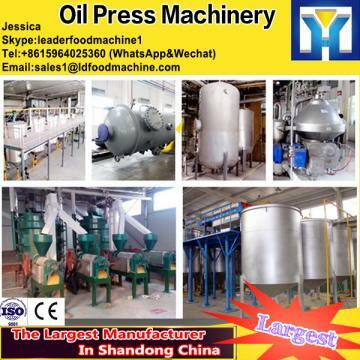 f. High oil yield: AZSP-130A automatic screw oil press can extract oil from oilseeds fully. The oil output is 35% - 50% higher than common oil press. g. The oil residue is less than 6%. h. Low noise, less pollution, quite environmental. You can choose the best suitble model based on your needs. If you are interested in our screw oil press. Please inquire us by email or telphone. We will give you our best service and quote you our best price.